1. 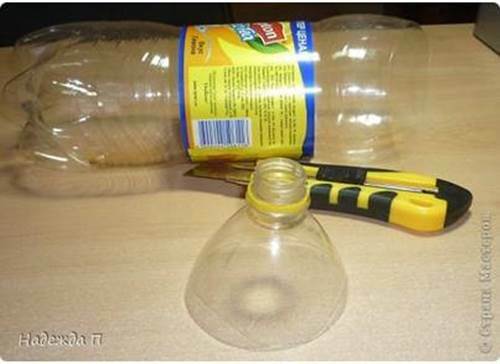 Cut out the upper part of the plastic bottle. 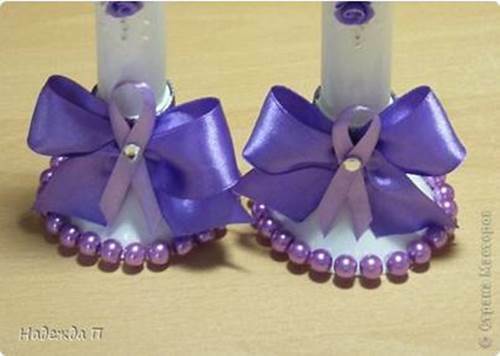 This will be the base of the candle holder. 2. Paint the base in white. 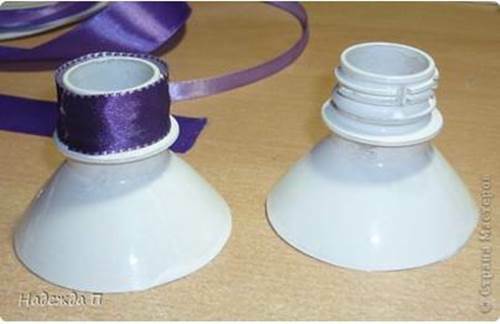 When the paint is completely dry, wrap the top part of the base with ribbon. 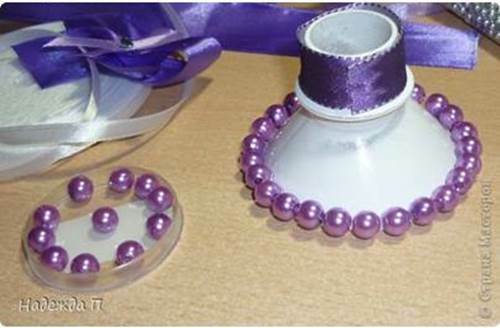 Secure with glue. 3. 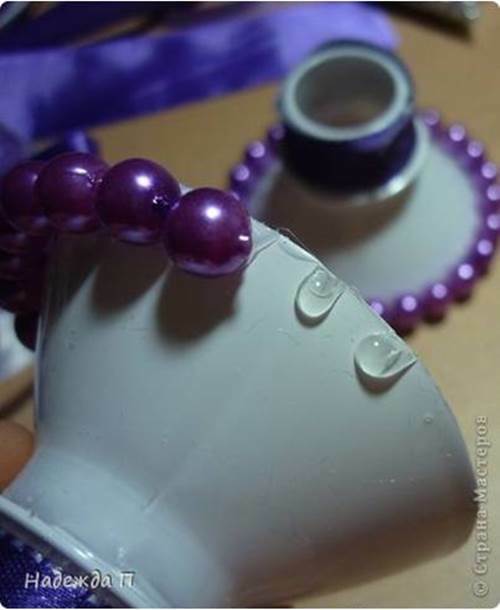 Glue beads around the bottom of the base. 4. 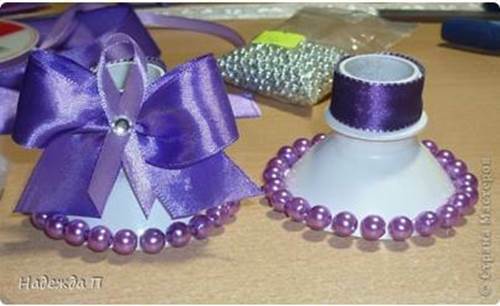 Attach a ribbon bow to the front of the base. 5. 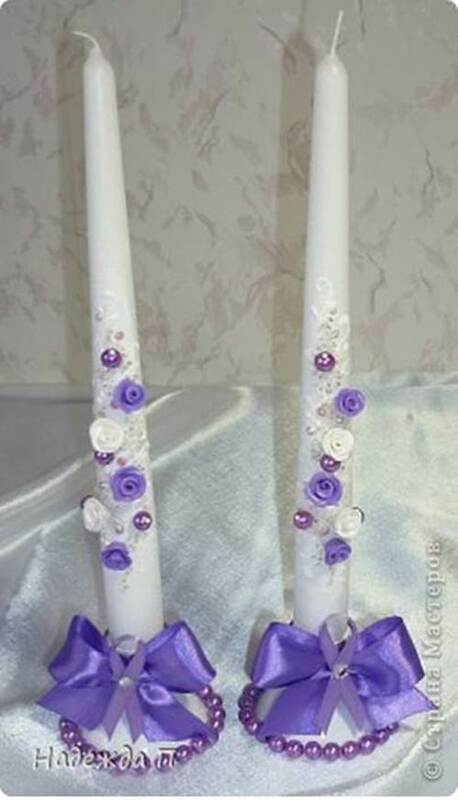 Place candles on the candle holders. Enjoy! 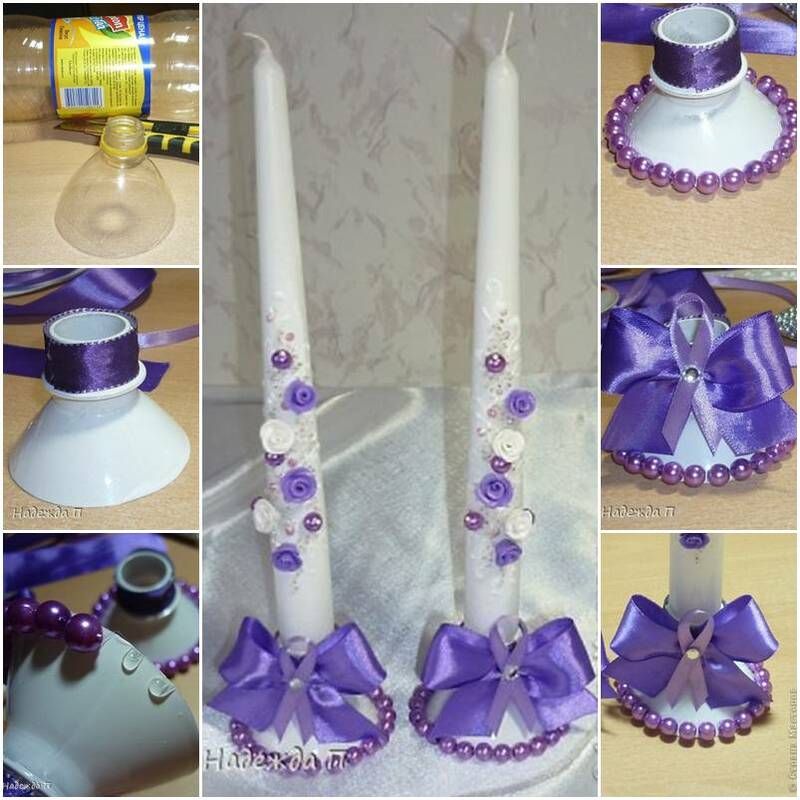 2 Responses to "DIY Pretty Candle Holder from Recycled Plastic Bottle"
HOLA, GRACIAS POR COMPARTIR, ME GUSTARIA SABER CON QUE ESTA DECORADA LA VELA, ADEMÀS DE LAS PERLAS Y LAS FLORES.